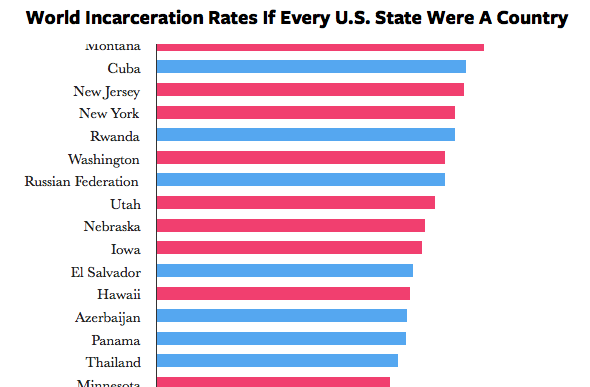 States of Incarceration: The Global Context We released this interactive graphic that compares every U.S. state's use of prison to that of other nations. 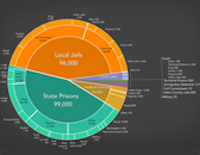 Mass Incarceration: The Whole Pie 2018 This graphic aggregates the disparate systems of confinement and graphically illustrates that 2.3 million people are locked up in the U.S., where, and why. 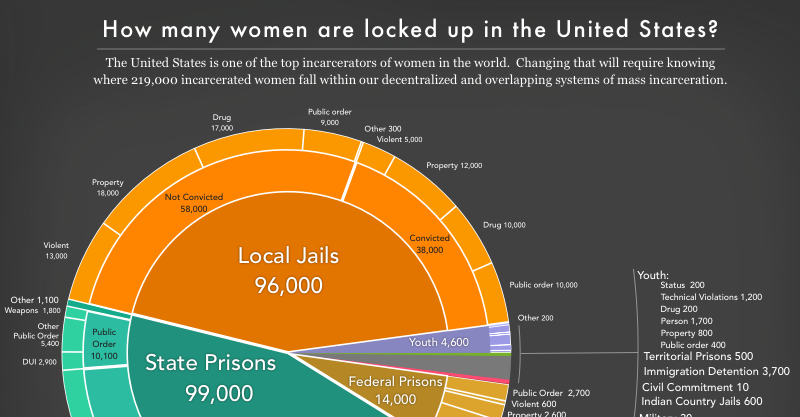 Women's Mass Incarceration: The Whole Pie 2017 The United States is one of the top incarcerators of women in the world, but this graphic is the first to aggregate the disparate systems of confinement and illustrates where and why 219,000 women are locked up in the U.S.
Tracking State Prison Growth in 50 States Among the report's 100+ graphs, we showed that state — not federal — policy is driving mass incarceration. 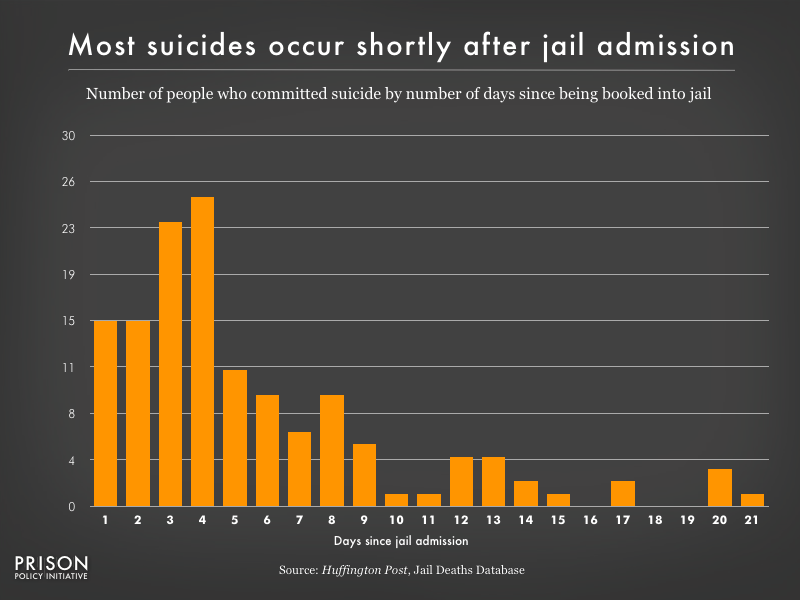 The life-threatening reality of short jail stays Suicide in jails is an overlooked national crisis. 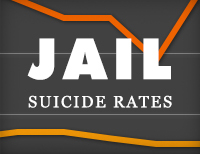 The rate of suicide in local jails — which generally hold people detained pretrial or convicted of low-level offenses — is far greater than that of state prisons or the American population in general. 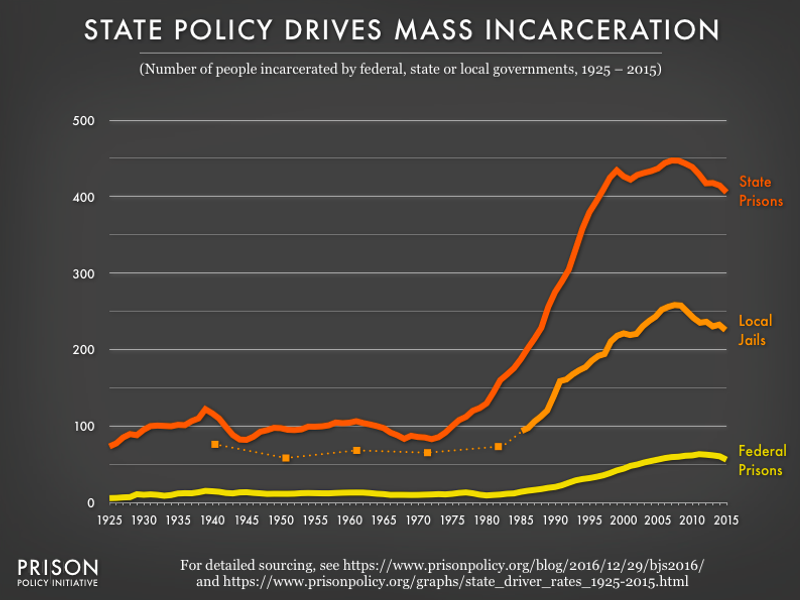 Focusing on state policy Thinking of the U.S. criminal justice system as one system can be a mistake. 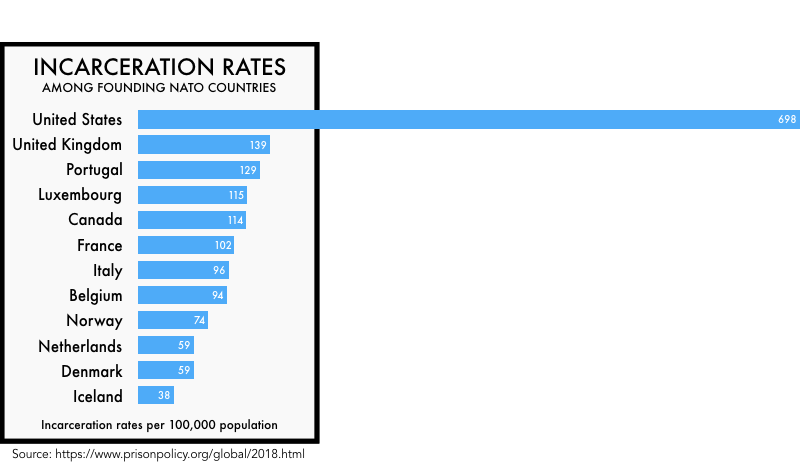 There are 50 state systems, plus one in each of the approximately 3,000 counties and often separate systems in the approximately 30,000 municipalities. 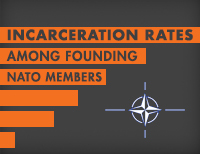 These differences matter a great deal. 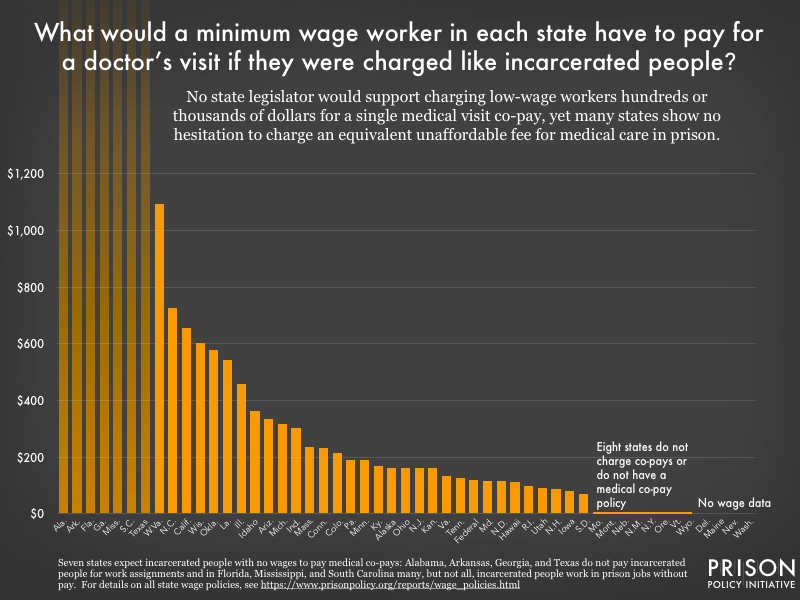 Focusing on jails One out of every three people who were behind bars last night were confined in a jail; and the driving factor in jail growth is policy changes that make it more likely for people to be detained prior to trial. 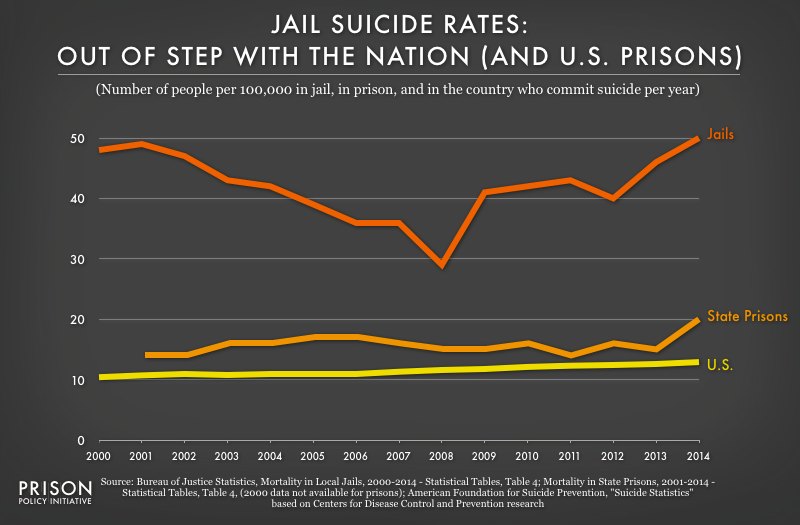 Focusing on pre-trial detention Since the 1980s, courts have increasingly relied on money bail instead of non-financial forms of pre-trial release. 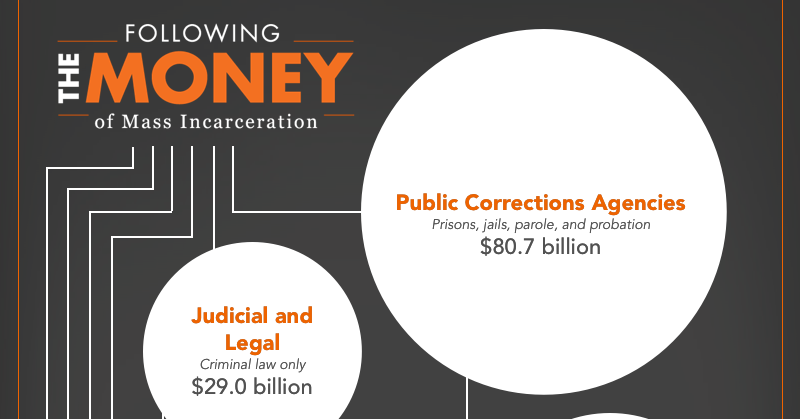 To support the national effort to reverse this trend, our report Detaining the Poor: How money bail perpetuates an endless cycle of poverty and jail time explored how unaffordable the typical bail was to the typical detained defendant. 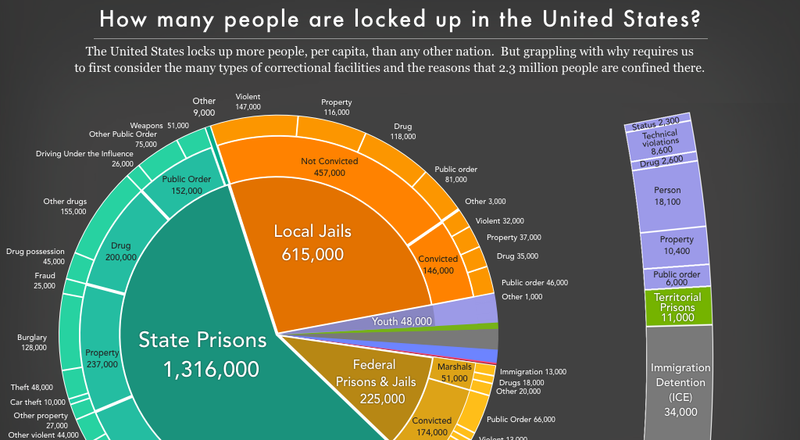 This chart illustrated the possible paths from arrest to pretrial detention and shows that nationally, in 2009, 34% of defendants were detained pretrial for the inability to post money bail. 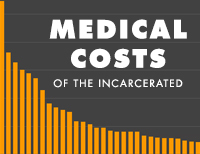 Fighting for Prison Telephone Justice We have been working with partners across the country to bring fairness to the prison and jail phone industry that wants to charge families of incarcerated people $1/minute for simple phone calls. 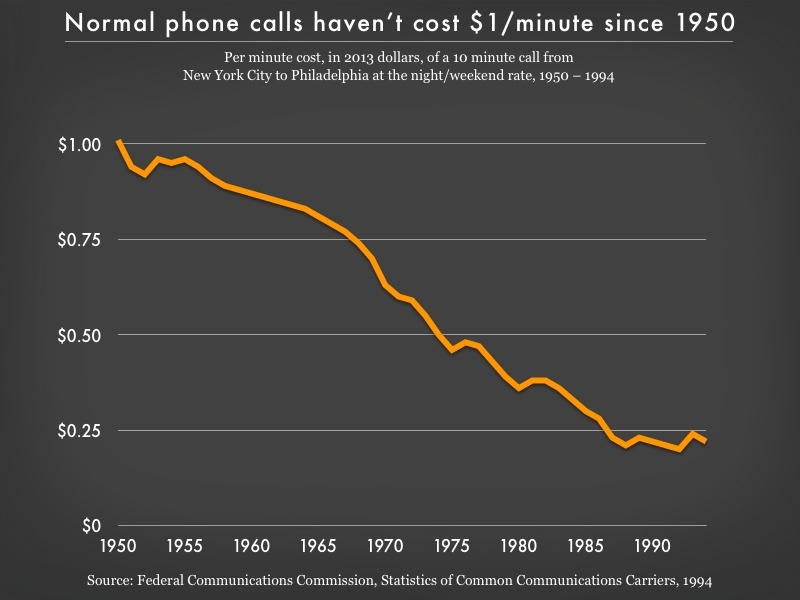 These companies would have you believe that, in an era of Skype and unlimited long-distance, the families of incarcerated people still live in the 1950s.